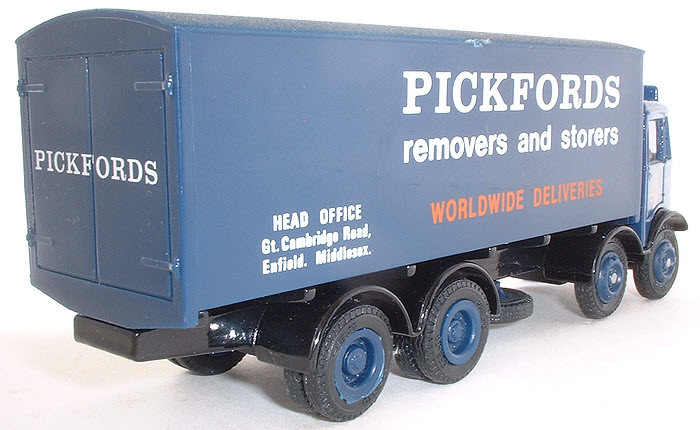 Slogans "Pickfords' removers and storers - Head Office Gt. 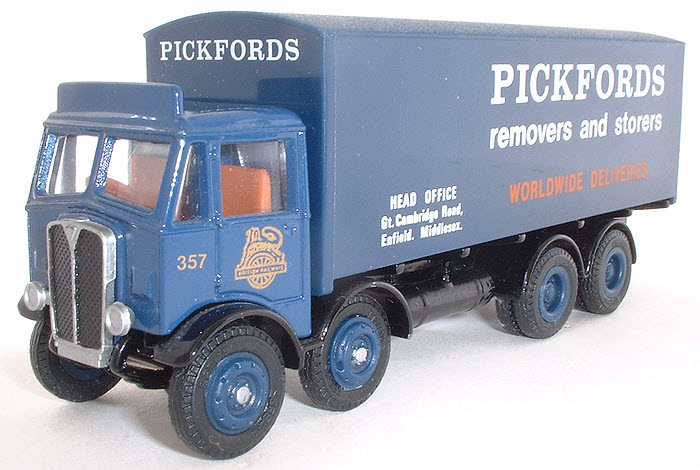 Cambridge Road, Enfield, Middlesex - Worldwide Deliveries" on box sides and "Pickdfords" on box ends. Lion crest on cab doors. Livery Blue with black chassis. Notes Part of De-Luxe Boxvans Set 99903 with models 10501DL and 10503DL. This De-Luxe Series model is a re-working of issue 11002.